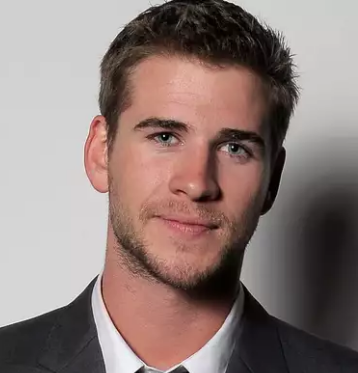 Liam Hemsworth is a renowned Australian actor. With his elder brothers’ indulgence in the acting field, it was no surprise that he would follow the footstep of his brother and enter into the silver screen. He played the roles of Josh Taylor in the soap opera Neighbours and Marcus in the children's television series The Elephant Princess. He has also been a part of some American movies like The Last Song, The Hunger Games film series and Independence Day: Resurgence. He is a very talented actor. For his role of Josh Taylor in the soap opera Neighbours and as “Marcus” on the children’s television series The Elephant Princess. Read More: Who is Liam Hemsworth's wife Miley Cyrus? Born as the youngest of 3 boys to Craig Hemsworth, a social-services counselor and a teacher of English, Leonie on 13th January 1990 in Melbourne, Australia, Liam Hemsworth spent some of his childhood in his birthplace and following the eighth birthday he moved to Philip Island. His nationality is Australian. His maternal grandfather is a Dutch immigrant, and his other ancestry is English, Irish, Scottish, and German. His birth sign is Capricorn and his religion is Christian. At the period of high school, he appointed an agent as he wanted to enter the acting world. By the age of sixteen, he got the opportunity to appear in one episode of the TV show “Home and Away”. He then did a cameo in “McLeod’s Daughters”. In 2009, Liam flew to the United States with the aspiration of enhancing his career in Hollywood. Talking about his body features, Liam has got a very hot body figure and charming face. Liam has got a tall height of 6 feet 3 inches. His balanced weight is of 75 Kg. His waist size is 33 inch. His eye color is Blue and hair color is brown. His other body measurement will be updated very soon. 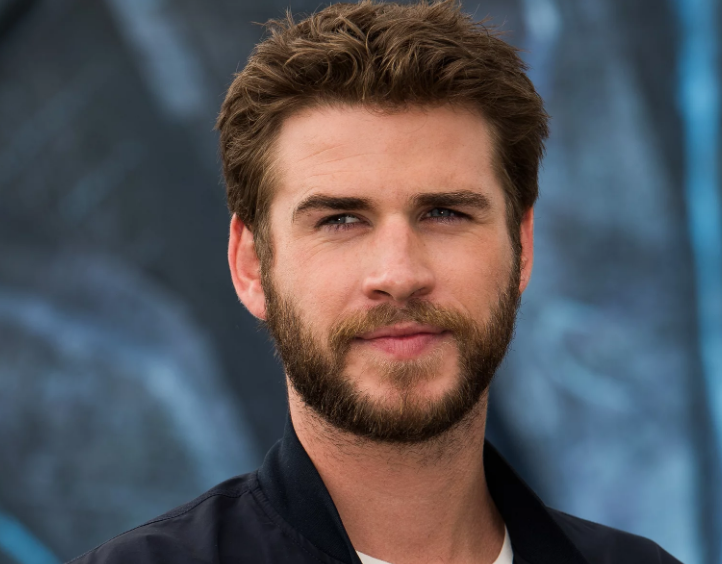 Though Liam Hemsworth started out his career with small roles in 2006, eventually in mid-2007 he grabbed a recurring role in the TV show “Neighbors”. After leaving the show in 2008, he appeared in “The Elephant Princess” portraying “Marcus”. He then appeared in TV sitcom “Satisfaction”, followed by the role in British flick “Triangle”. Though he had already made his distinctive position in Australian TV shows and gained recognition in Britain, Hollywood was certainly not a cake walk for this 19 years old actor. After facing 2 setbacks, in 2010 his big break in the Hollywood came into his doorstep in the form of hit flick “The Last Song” co-starring Miley Cyrus. Followed by another Blockbuster ‘The Hunger Games”, Liam proved that he was in Hollywood to stay. Though he could not be the part of “The Expendables”, he made sure to appear in its sequel in 2012. The year 2013 explores his romantic sides with the romantic drama “Love and Honor”, where he portrayed a Vietnam War Soldier. Displaying his versatility, he signed a thriller flick “Paranoia” in the same year. He played his role in the movie "The Hunger Games" which was released in the year 2012. He reprised his role, Gale Hawthorne, in three sequels to The Hunger Games, The Hunger Games: Catching Fire, released in November 2013, The Hunger Games: Mockingjay (Part 1), released in November 2014, and The Hunger Games: Mockingjay (Part 2), released in November 2015. He also appeared in Empire State, with Emma Roberts, and Paranoia, co-starring Harrison Ford, Gary Oldman, and Amber Heard in the year 2013. He portrayed the love interest of Kate Winslet's character in the Australian literary adaptation "The Dressmaker", which was filmed in Victoria in the summer of 2014 in the year 2015. He starred in director Roland Emmerich's 2016 film Independence Day: Resurgence in the year 2016. Acknowledged as the third “sexiest man” 2013 by Glamour, Liam has started to dominate the Hollywood in a very short period of time, captivating the heart of Hollywood lover. Best known for Neighbors and The Elephant Princess, Liam has garnered the net worth of $16 million as of 2018. The mainstream of his income is his profession i.e “acting”. His exact salary has not been revealed yet and will be updated very soon but there is no doubt in the mind of his follower that he is earning a considerable amount of salary from his career work. Liam is not married yet and he is still to get married. He is engaged to Miley Cyrus in January 2016. The couple is living a happy life together and there is no any sign of separation between them. The couple is planning to get married soon. There is a news that they are planning for a baby. Previously, he has been linked to Laura Griffin from 2006 to 2009, Eiza Gonzalez in 2013. The handsome hunk was spotted with Nina Dobrev several times and the rumor of them dating hit the media in 2014. Ambassador of a children organization “the Australia Childhood Foundation”, the kind-hearted actor has always been a part of social causes. As a child and living in the island he loved surfing and used to spend the whole day surfing with his brother. Sky blue is his favorite color. He enjoys watching flicks, such as A Guide to Recognizing Your Saints, The Departed, Step Brothers, James Dean, and The Goonies. The 24 years old actor shares a strong bond with his friend Jennifer Lawrence and Josh Hutcherson. Having been a major part of more than six flicks in just the precedent three years, the native of Melbourne is clearly hardworking and focused. The award-winning actor has been exploring every aspect of acting with his choice of characters. With his current ventures and upcoming ventures in the horizon, the blue the eyed Australian actor is determined to dominate the Hollywood. Its just been some years of his appearance in the Hollywood, he has already been nominated in several categories and has won awards like Young Hollywood Breakthrough of the Year, Teen Choice Awards Male Breakout, People Choice Awards and more. He is active in social networking sites like “Twitter”. More information about Liam can be found in the wiki. His biography can be found in the different internet sites. He was considered to be for the title role in 2011 movie Thor. But later that role went to his older brother Chris. He gave his first audition when he was 16 (in 2006). He stars in the music video Colder Weather for the Zac Brown Band. He has hosted the Nickelodeon Australian Kids’ Choice Awards 2010.